The sheet metal cutter lets you quickly and safely make factory quality cuts right on your brake. 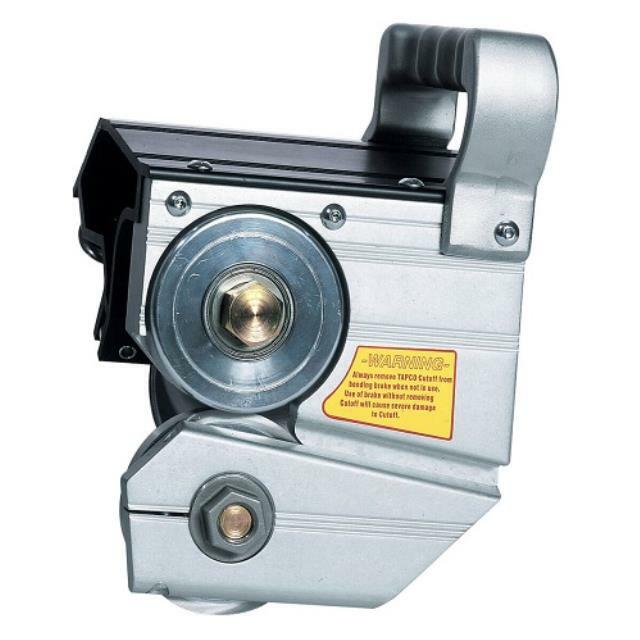 Its single pass cutting precision eliminates the use of dangerous utility knives and open blades, and the costly knifing damage they can cause to bending hinges. For use with our sheet metal brake. Click here for the Tapco Pro cut-off operator's manual.